With protests and little pomp, Enrique Peña Nieto on Saturday began his six-year term as president of Mexico, promising big spending and sweeping changes to bring peace and prosperity to a country troubled by drug violence and uneven economic growth. It mentions Peña Nieto's weak mandate, the protests and the make-up of the new cabinet, calling them "mostly PRI stalwarts". He envisioned the day when a more prosperous, peaceful Mexico would end hunger and business monopolies, and an expanding middle class would board high-speed trains that his government would build to take them to a better future. It follows with a description of the day, including clashes, and highlights from Peña's speech. Strangely, Peña Nieto did not mention the issues of tax reform, or what he will do with Mexico's oil sector, two areas that economic experts have said are crucial if the country is going to move ahead. These are two of the most controversial and thorny proposals of the new president and it seems that he has decided to take them on over a longer time frame, after testing the political waters. Los Angeles Times: In its article ¨Mexico´s Enrique Peña Nieto assumes presidency amid protests" the LATimes focuses on the contrast between the officially choreographed events and the violent street protests. Enrique Peña Nieto, a 46-year-old career politician and member of Mexico's old-guard political party, Saturday assumed the presidency of a nation reeling from drug-related violence, promising his fellow citizens that "the primary focus of my government is to achieve a Mexico at peace." By that measure, his term did not start well. Outside the lower house of Congress, where Peña Nieto was given the presidential sash by his predecessor, Felipe Calderon, protesters clashed with police, lobbing Molotov cocktails and rocks. Authorities responded with tear gas and rubber bullets. A number of police officers and protesters were injured, some of them seriously, officials said. As most heralded the changes announced in the speech, the LA Times piece makes the observation that on the subject of security Peña Nieto has committed to "maintain two key components of Calderon's security strategy: using the military to keep the peace and continuing the intimate partnership with the United States, which took on an unprecedented role in Mexican internal affairs during the Calderon era." We are a nation that is growing at two speeds. There's a Mexico of progress and development. But there's another one that lives in backwardness and poverty. 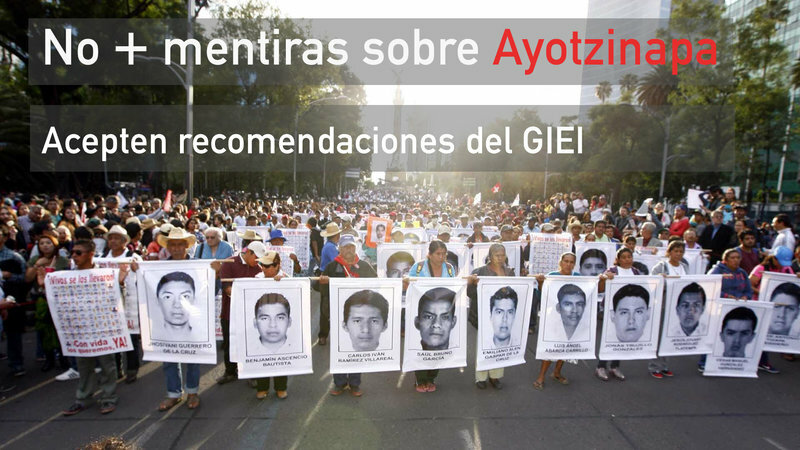 The brief article mentions Peña Nieto's promise to seek peace and economic opportunities.